Nearly one million Chinese students registered for classes at American universities during the 2012-2013 academic year, says an article in US News and World Report. But with tuition fees for foreign students of $38,000 or more per year, education in the US is way out of reach for the average Chinese family. The solution that China has found is to move the foreign education to China. Foreign universities have opened campuses and joint venture programs across the country, using the English language to teach degree subjects. The schools are still considerably more expensive than a domestic university, but much cheaper than going abroad. A bachelor’s degree at University of Nottingham, Ningbo Campus costs $14,000 USD, for example, whereas a BA at Shanghai University would cost only about $3,200 USD. 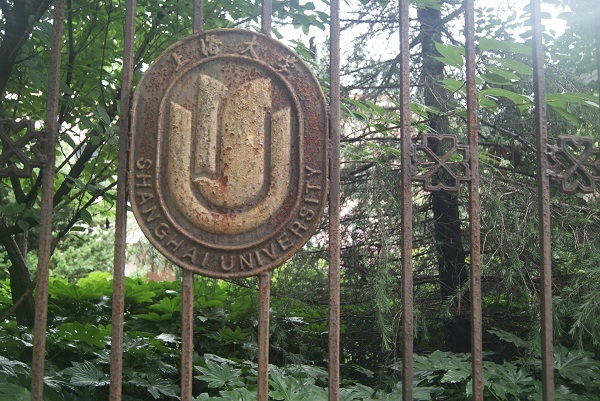 Some of the foreign universities who currently have programs in China include: New York University, Shanghai Campus, Duke-Kunshan University-Wuhan University, John Hopkins School of Advanced International Studies, Nanjing Campus, University of Birmingham Guangzhou Centre, and Xi’an Jiaotong-Liverpool University, Suzhou to name a few. A deep respect for education has always been a major feature of Chinese culture. In the past, however the educational options open to many families were limited by the family’s income. Over the last 10 years, however, Chinese families have been earning more and more. According to a report by Accenture the average hourly wage in China has increased from less than one dollar per hour in 2005, to approximately $2.25 an hour in 2011, with the average annual income in 2012 rising to about $2,100. Much of that money is being pumped into education. Some of these families save for years and years to send their children to a foreign university program in China. But the foreign programs are especially popular with China’s wealthy class. 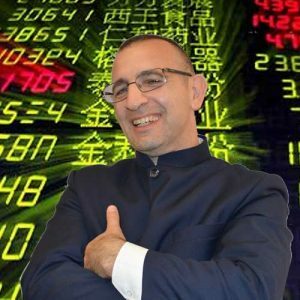 According to the Hurun Wealth Report of 2012, “One out of every 1300 people in China has a million yuan or more”, leaving them with savings large enough to fund a foreign education inside or outside of China. Since 1978, China has had a one child policy. With life expectancy steadily increasing in the new affluent China, this often leaves four living grandparents and two parents with only one child to support. This means the life savings of six adults could be pooled to pay for the education of one child. The increased income, combined with a one child policy has left a tremendous number of families in a position to pay for a foreign university program. University of Technology Sydney, in cooperation with Sydney Institute of Language and Commerce, operates a program at Shanghai University. This is one of many foreign programs which doesn’t actually offer a foreign degree in China. Students who complete the program in China get a certificate. But students who complete a two-plus-two program, two years in China followed by two in Australia, receive a university degree from UTS. Another option is that the students can complete their BA from Shanghai University concurrently with two years at SILC, then go to Australia and complete a second BA. These types of programs have made a foreign education even more affordable, since the first two years are done in China. This leaves parents to pay for only two years of study abroad. In an informal survey, the two most common reasons students gave for studying in the hybrid program were to improve their English and to prepare to study abroad. Whether students do the full four years abroad or do half in China and half in a foreign country, they still need to adjust to the dramatic differences between western and Chinese education. In addition to the English language programs, which seem to be the largest and most well established, there are a smattering of programs sponsored by Germany, France or other countries, using other languages as the medium of instruction. One student in an English program explained, “The other foreign programs in our school UTSEUS [a program offered through a French university], it’s often a little tired since they have to learn French, which they never studied before.” Many of the English medium programs require that students pass the IELTS exam either before or during the course. But the European programs couldn’t make such demands because there are so few Chinese students who have had the opportunity to study German or French till fluency. As much as the students were aware of the benefits of the foreign program, many of them didn’t choose the program themselves. Most of the foreign programs are business related. Business and technology seem to be the two choices that Chinese parents agree on. Parents in the new China are willing to spend a fortune on their children’s education because they see it as an investment. They hope that investing in a business or technology degree will return real dividends. Unfortunately, however, data shows that Chinese university graduates have increased six fold in recent years. New grads are facing a tighter job market and low wages. A graduate from a $140,000 USD education in the US will be returning to a China where the average income is just over $2,000 a year. And yet, each year, the number of students opting to go abroad for studies or to study in the local, international university programs increases dramatically.